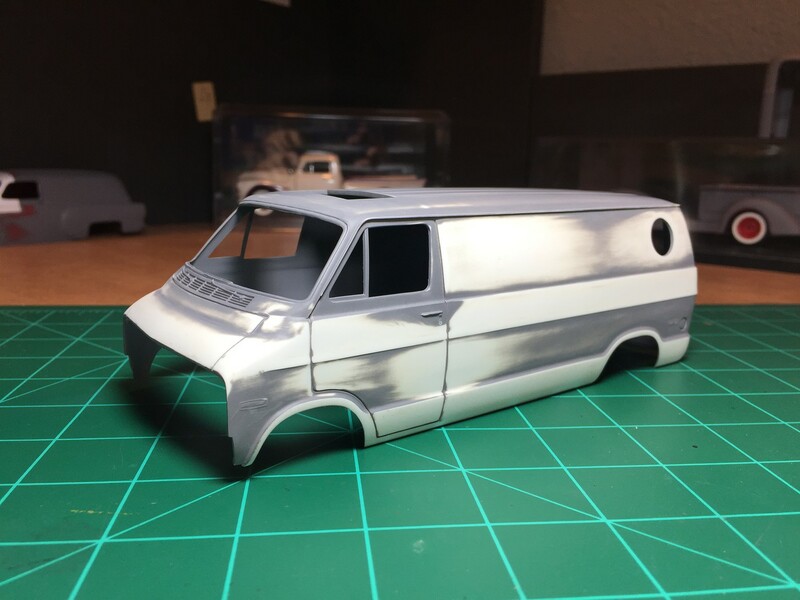 Nice progress on the body and I like how you went with a more 70s traditional style sunroof. I do see that in the background. I had my sights on building the 41 Willy's next as of last year in the ongoing stream of Street Demons builds that I've been doing and then I saw your 54 and it inspired me to build mine.................in Street Demons markings nonetheless. That sunroof really adds a lot to this build. Verrrrry nice work Greg. Nice job on the body work. It looks good. Haven't posted on this in a while and I see you build like I do. lololololol. I swear it takes me 9+ months to finish anything. Results are looking stellar Greg. It's frustrating! There's never enough time! Lol. I'll have the body work wrapped up on this badboy this week! LOL... I have just the opposite problem...I have plenty of time but...? Hang in there bro. You'll see it through. Sometimes it just seem like a good block of time just appears out of nowhere. Sorry for another primer picture but the bodywork is all done! It's getting boxed up and sent out this week for paint. I can't wait to see what it looks like when it comes back. See you on the other side! Greg...cant hardly wait to see it. I have to find me one of these early Dodge vans and make a replica of the one I owned..been wanting to for years anyway but this build has lit that fire to even more..LOL.. I have an extra van if you're interested. PM me. Great job on the van. I love how you repaired the drip rail. Thank you! I just got word this morning that it safely reached it's destination. I'm pretty wound up about it, I can't wait to see this thing! It's interesting that your van had the same sprue tear at the bottom and the broken drip rail in about the same position. I don't know what colors he'll be using. I only gave him the theme I wanted and I'm going to give him the freedom to take the ball and run with it from there. I haven't really decided on the wheels yet. I'm going to wait to see what it looks like and go from there. That's also why I haven't started any assembly on anything yet. NICE kit-bash Tom! That roof line looks as tho there should be enough plastic meat there to sand that slop to look even..... Hows the roof indents line up? That body is looking real good!!!! 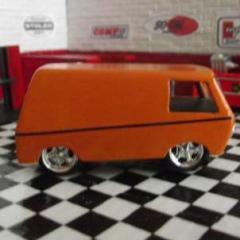 I have this same van, as a glue bomb that I plan to go other-wise on it now then originally planned (I WAS going to use it as the van that my Uncle had for my "Family builds") BUT, I got a WAY BETTER one for the Uncle's van so that gluebomb I had is gonna be some wild custom now! Hey John! It went pretty easy. The roof ribs end right above the front door line so I cut along it. So nothing to match. Since I took these pictures I managed to sand the roof line to look right. Of course I lost interest right after I solved the "would this work" question. I'll finish it one day. NICE work Tom! That cut was done just right then! Any chance you'd trade off that blue van body? Thanks for doing this one. 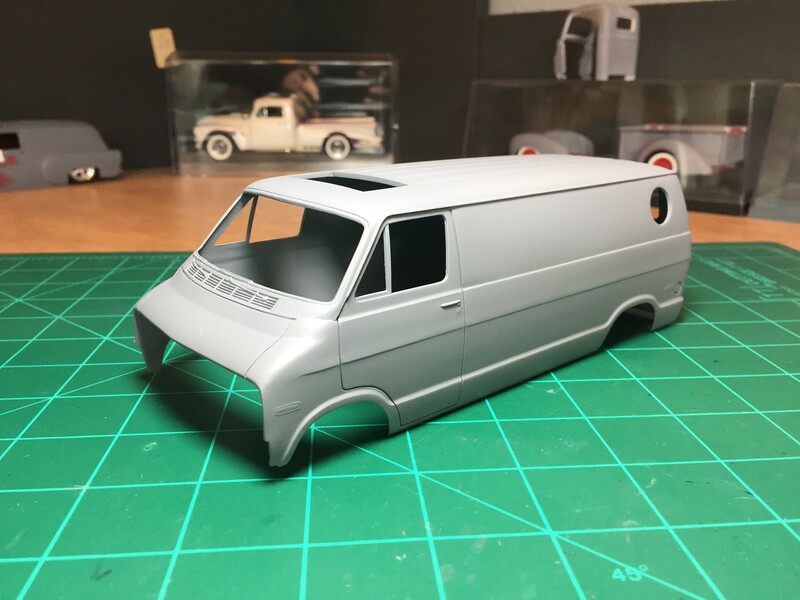 I have always liked the round front Dodge Vans, but until today, I have not had a kit of one since the early '70's when I built a window van kit. 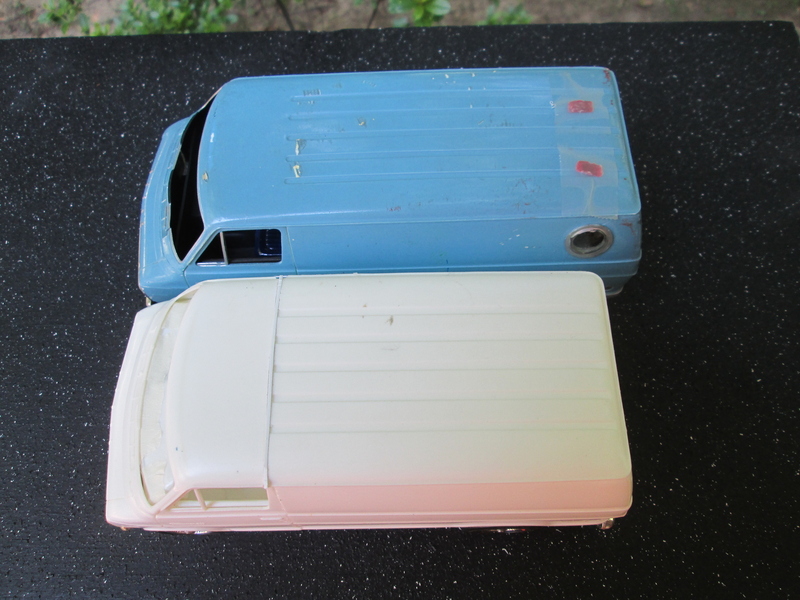 I scored both a cargo van and a window van at our clubs NNL. 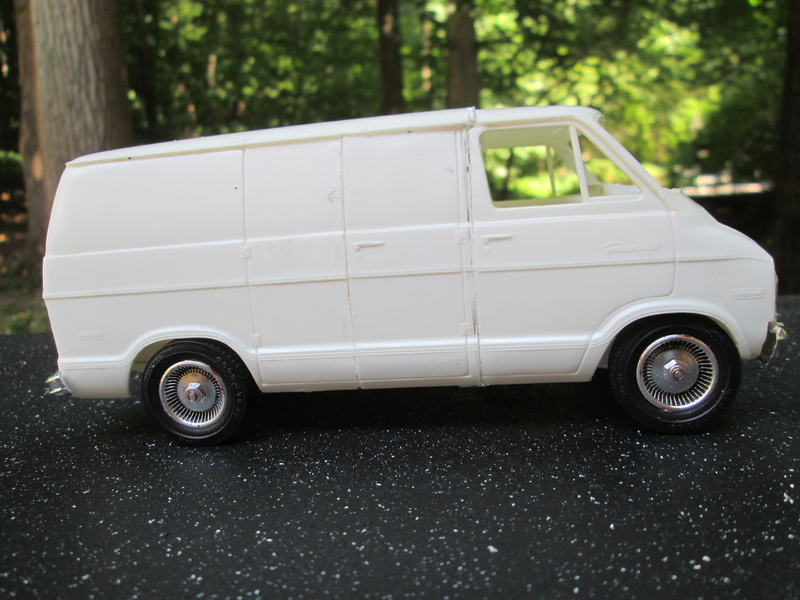 I have always loved the early 70s Dodge vans too Ron...owned a few over the years myself.